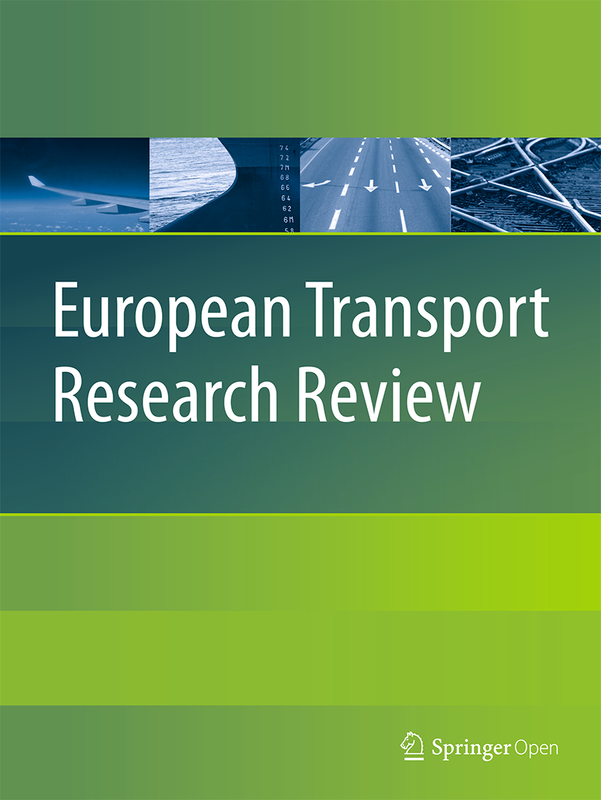 European Transport Research Review (ETRR) is a peer-reviewed open access journal publishing original high-quality scholarly research and developments in areas related to transportation science, technologies, policy and practice. 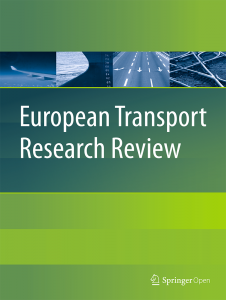 Established in 2008 by the European Conference of Transport Research Institutes (ECTRI), the journal provides researchers and practitioners around the world with an authoritative forum for the dissemination and critical discussion of new ideas and methodologies that originate in, or are of special interest to, the European transport research community. If you would like more information about the Journal, submission process or open topical collection calls come and visit ETRR at the ECTRI/Springer stand (A17) in the TRA Exhibition Area. Newsletter europea is monthly published by Fondazione CS MARE reaching the members of the largest Italian Association of SMEs’ with more than 300 thousand members. It provides the most relevant and up to date information from the European context in the field of maritime and multi-modal transport, blue economy, Digitalisation, Research and Development, Energy, Environment and Economic Development and Enterprises. For more than 30 years, the Munich-based ALTOP Verlag has been one of the leading information providers in the field of ecology and economics. With its reference book “ECO-World – The Alternative Business Directory” and the portal www.eco-world.de, it has been transporting the importance of sustainable business. The magazine “forum Nachhaltig Wirtschaften”, published jointly with B. A. U. M. e. V., and the online portal www.forum-csr.net show solutions for sustainable management and the assumption of social responsibility by decision-makers from business, politics and society. International Railway Journal – IRJ – was launched in 1960 as the world’s first magazine reporting on the railway industry worldwide. IRJ has an average circulation of 10,600 rail professionals in 139 countries, with 90.5% of our qualified circulation requested. With impartial coverage, superior design, an expert editorial team, and high-value readership, no other global railway magazine comes close. IRJ’s industry-leading website provides a one-stop-shop for global rail news. IRJ Pro was launched in 2016, an online data service keeping subscribers up-to-date on market developments in rolling stock and new railway construction, complementing IRJ Pro’s Global Rail Tenders service. 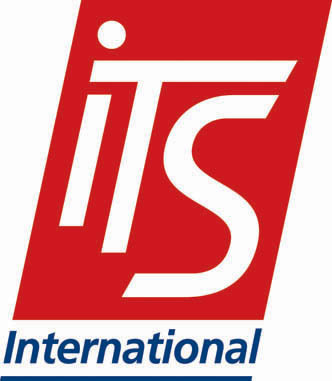 International Transportation is the worldwide distributed English-language edition of Internationales Verkehrswesen (est. in 1949). Internationales Verkehrswesen—with its editorial board of renowned scientists and an advisory board of professors, directors, CEOs and other managers from all areas of the transport industry—is one of the leading European transport journals for both academic research and practical application. It should stimulate a worldwide interdisciplinary discussion of the challenges currently facing mobility, transport, and logistics. The overarching specialists magazine keeps professionals and managers abreast of background conditions, current trends and future prospects. It is targeted at planners and decision makers in municipalities, communities, public authorities and other institutions, in transportation companies, planning groups, engineers, scientists and students. Internationales Verkehrswesen and International Transportation are publications of Trialog Publishers, Baiersbronn, Germany. On the one hand, KOMMUNAL offers readers a comprehensive overview of new ideas and solutions for their work in the service of citizens, and on the other hand, businessmen and women find a precise platform to present their products. KOMMUNAL is the organ of the Austrian Association of Municipalities and the leading trade magazine for municipal policy issues. No comparable magazine in Europe therefore has a higher reach within the target group. The contents of the magazine reach over 35,000 municipal decision-makers throughout Austria. These readers of the newspaper determine annual investments of around 20 billion euros in the 2099 Austrian municipalities. 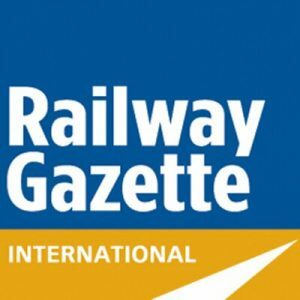 The Railway Gazette Group is the leading provider of business management and technical information for the world’s railway industry, offering an extensive range of print, digital and online news and data resources. These are read and respected by railway operators and suppliers in more than 140 countries. The Railway Pro Communication Platform is the most effective communication tool of the railway business environment, tailored for the specific needs of railway professionals and investors in order to provide them with the latest business opportunities existing on the market. Project-focused world-wide news about infrastructure, rolling stock, rail freight transport, passenger transport, intermodal and cross-border transport, railway operators commercial activities and tenders. Having accumulated vast experience over many years, the team at Scitech Europa are devoted to providing the most relevant and up to date information for the use of not only the European Commission, but all government agencies and departments across the continent of Europe. Whether it is from a scientific, educational or groundbreaking news perspective, our goal is to make sure that both the public and private sectors have the ability to communicate at the same level. Our publications will give opportunity to some of the leading figures from across Europe to discuss current and future projects, policy change and problematic issues within science, technology, education, health, defence and wider governance. Ship2Shore was founded in 2004 to create a leading magazine and become a point of reference in Italy, providing the latest news and events regarding the shipping industry, often ahead of its competitors in terms of time and copyright. Now a cornerstone of the shipping sector, Ship2Shore delivers insight and valuable information, offering the market a high quality product, innovative in its format and contents. Ship2Shore is a daily newspaper (the website is updated every day) as well as a weekly magazine, published every Monday on our website. We are happy to email our FREE e-newsletter, which highlights the headlines of the news articles, to anyone interested. Terra Mater is a nature and knowledge magazine covering all areas of the natural, humanities and social sciences. Globally relevant content is processed as elaborate, in-house productions and thus meets the demand for the highest level of authenticity and competence. The premium magazine is aimed at readers who want to discover and comprehend the wonders of our earth in order to increase their knowledge. Traffic Technology International, launched in 1994, is a leading magazine in the fields of advanced traffic management and ITS, with one of the largest circulation and one of the widest readership of any publication in the sector, ABC audited on a yearly basis. UmweltJournal is the professional journal for environmental technology, energy, waste management and sustainability in Austria. The international weekly magazine VERKEHR reports on transport, logistics, transport policy and business, freight forwarding, shipping (trade and industry) and management and we are one of the oldest magazine in these topics in Europe. We provide an information and knowledge platform for everyone working in the transport and logistics sector since 18th of August 1945. We specialise in freight transport by road, rail, water and air. In recent decades, the international weekly magazine VERKEHR has built up a strong network of readers from the worlds of business, politics and science. World Highways is published by Route One Publishing Ltd. Route One Publishing, founded in 1991, is proud to be editorially independent and its magazines are highly regarded throughout the industry for their authority and integrity. Route One Publishing’s editors are recognised experts whose writing is widely trusted and who are regularly invited to moderate at leading industry conferences.